The Executive Office Ruler is a great promotional product to impress your clients! 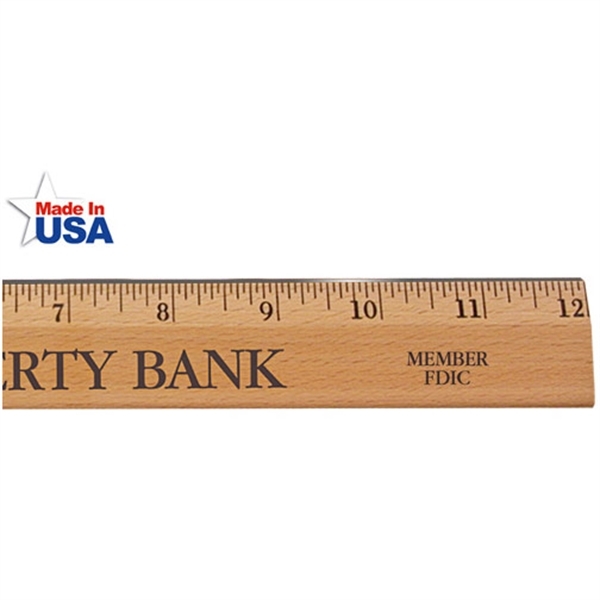 This 1/4" x 1 1/4" x 12" ruler features a classic beveled design with a clear lacquer finish and a metal edge. The product is made in the United States and has a pre-printed English scale. Make this handy measuring tool complete by adding on a personal message or your company name or logo through the silkscreen capability. Your brand will be hard to miss on this item. Size: 1.25 " x 12 " x 1/4 "